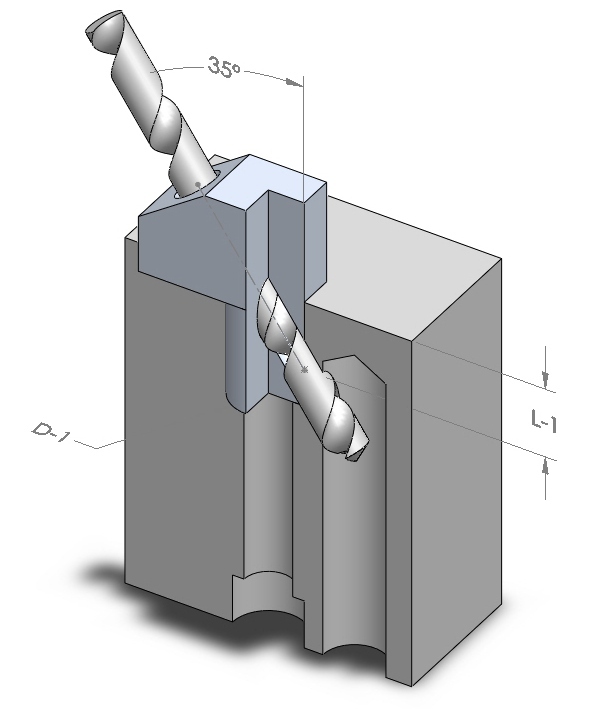 DWD Drill Jigs are used to aid in drilling angled air access holes without requiring a complicated machining set-up. Simply install the drill jig into the pre-drilled/bored hole for the DWD Air Poppet. Then hand-drill for the appropriate size air line. Drill Jigs may be re-used for multiple installations.